Fleet Equipments Centers, Inc. has been providing quality trailer sales, rental and repair services to the Chicago area since 1971. Our business has grown based on the principals of our founder Ted Styrczula, who has built the business based on spectacular customer service and top quality products and services. Our trailer repair service and facilities are conveniently located, giving you the easy access you need for any of your trailer sales, rental, and repair needs. At Fleet Equipment Centers, we believe in doing whatever we can to make your experience the best it can be, whether you are buying, renting, or having some repair work done. We offer only reliable quality trailers, spotter trucks, flatbeds, vans, and refrigerated trailers. We also have the finest repair facility in all of Chicagoland and we employ only the most skilled mechanics to ensure that you will receive the best service possible. 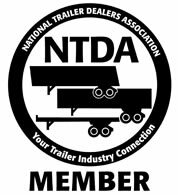 In addition to our quality trailers, we also have two other divisions which enables us to provide Chicago area customers with the diversity they seek from a quality company. Fleet Equine is the division that manufactures our high quality horse vans, giving you a company you can trust to supply the high caliber vehicle you need for the transportation of our equine friends. Our Fleet Specialized division excels in providing high end trailers specially manufactured for the demolition and scrap recycling industries. At Fleet Equipment Centers, we believe in doing whatever we can to make your experience the best it can be, whether you are buying, renting, or having some repair work done. We offer only reliable quality trailers, spotter trucks, flatbeds, vans, and refrigerated trailers. We also have the finest repair facility in all of Chicagoland and we employ only the most skilled mechanics to ensure that you will receive the best service possible. Our Fleet Specialized division excels in providing high end trailers specially manufactured for the demolition and scrap recycling industries. Fleet Equipment Centers is your one stop shop for truck and trailer repairs, sales and rentals. We carry a huge inventory of chassis trailers, yard trucks, spotter trucks, reefers, vans, dump trailers, flat beds and more. Stop by our yard and you will be amazed at the acres and acres of equipment that is on display. All of our brand-name equipment is in top mechanical shape and ready for you to use for whatever task you have at hand. You will not find anyone in the greater Illinois area with a bigger selection of pre-owned, quality trailers that will provide you with solutions instead of problems. Fleet Equipment Centers is the number one trailer repairs and service company in Chicago. Come by or call us today and see why our service and products have made us the most successful Chicagoland company in our industry.